Congratulations to our three winners in the District Optimist Writing Contest. Gayatri's essay moves on to regional competition. All three students will be honored at an awards ceremony in March. 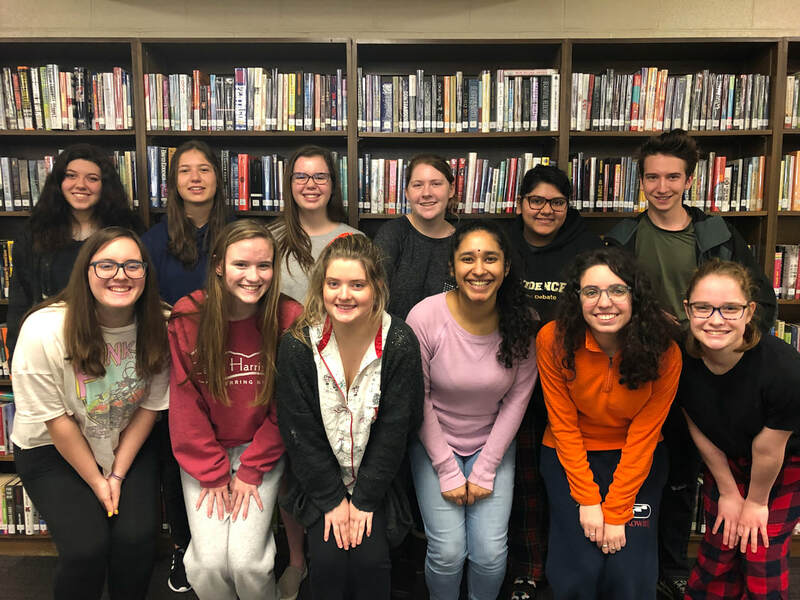 Providence High School students won a total of 33 regional writing awards from the Scholastic Art and Writing Awards. They were honored at a ceremony at Spirit Square on February 7, 2019. The four Gold Key winners are currently competing in the national competition in New York City. Winners will be announced in March. Have you considered submitting to the literary magazine but worried that your pieces needed polish! Come to the writing workshop and revise your pieces. We will have spooky treats and lots of fun! When: Tuesday, Oct. 30th at 2:20- 3:45 pm. What to bring: Four (4) copies of your own piece of writing (prose or poetry). Please RSVP as soon as possible, but no later than Monday, October 29th. Limited to the first 20 respondents. ​The National Scholastic Press Association has named Emma Carter one of eleven finalists for the National Designer of the Year Award. This is the first year NSPA has sponsored this award, one of several Portfolio of the Year Awards that honor the top students in art, broadcast journalism, design, marketing, multimedia, photojournalism and writing. Winners will be announced at the national convention in Chicago in November. 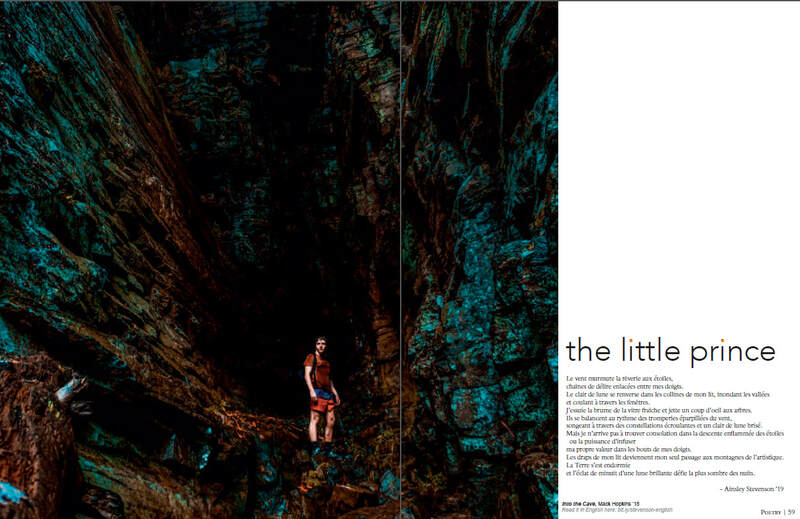 Emma was the Design Editor for Lit Mag last year. She graduated in June and is currently attending the School of Design at NCSU. Columbia Scholastic Press Association has named Roars and Whispers a Crown Finalist for the fourth year in a row. The Crown is the highest national award a publication can receive from CSPA and recognizes overall excellence in head-to-head competition across the nation. During Crown consideration, publications are judged on their excellence as shown by their design, photography, concept, coverage and writing. Crown Finalists are actual winners, not nominees. Some will be announced as Gold Crowns; the rest are Silver Crowns. Last year Roars and Whispers was awarded its second Gold Crown. Final results will be announced and presented at the CSPA ceremonies in March 2019. National Scholastic Press Association announced that Roars and Whispers is once again a finalist for two Individual Awards in the Design of the Year Category: Magazine Spread Design and Magazine Cover Design. This is the second year in a row that Roars and Whispers has been a finalist in both categories. Winners will be announced at the JEA/NSPA Fall National High School Journalism Convention, Nov. 1-4, 2018 in Chicago.